Aloha! 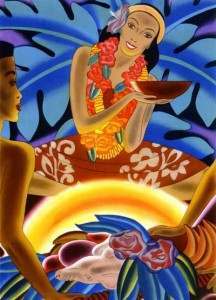 Welcome to the Hawaiian Luau! 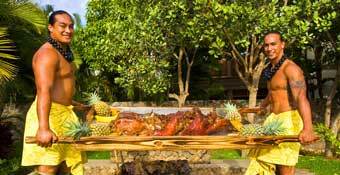 Whether you’re looking for an authentic Hawaiian luau to enjoy on your vacation in Hawaii or planning a luau for your backyard party, you’ve come to the right place. 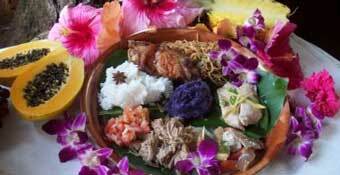 We’ve put together luau recipes you can make from commonly available ingredients, advice on where to find the best luaus in Hawaii, recommendations on Hawaiian music to put you in the mood to hula and even a brief history of this uniquely tropical feast — the Hawaiian luau. Making a lei for your luau is easy and you might also want to learn a few Hawaiian words before your trip to Hawaii by checking out our glossary of common Hawaiian words. This is an information-only site, but we do provide links to reputable companies in Hawaii where you can shop online. 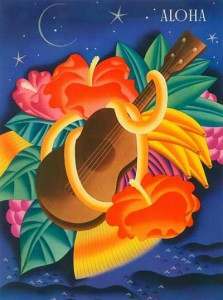 To purchase luau supplies or Hawaiian gifts, we recommend Hawaiian Luau Party Supply. Hele Mai… come in and look around! 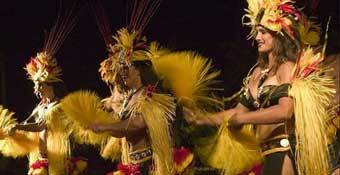 The annual Ho`olaule`a at the Windward Community College is not to be missed.